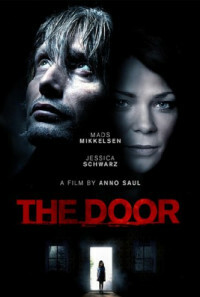 David Andernach (Mads Mikkelsen) lives non-chalantly at the height of his success as a painter, as a tragic misfortune befalls him from one second to the other. While he is paying his beautiful neighbor a visit, his daughter Leonie drowns in the pool of his house. Tormented by guilt, David turns into a wreck. His life is no longer under control, especially since his wife Maja (Jessica Schwarz) can never forgive him. Completely at the end he wants to kill himself jumping in the same pool, but at the last moment is saved by a friend. But as the guilt-ridden man has fallen in the greatest despair, a butterfly flapping on his nose leads him to a door, actually more an underground tunnel. On the other side he finds life as it was before. He gets back to the all-important moment and so given the opportunity to save his daughter. But even with his own ego, which is just on the road to regret his infidelity. Conscious as never before of those who have always loved him, the auspicious opportunity for a new beginning soon turns out to be a veritable horror scenario, because the past holds dark, fateful secrets. Regions are unavailable for this movie. Click the "Watch on Netflix" button to find out if The Door is playing in your country.